The first is a carving of a boy sitting on the back of a mythical beast. The stone is of a pale celadon tone with russet inclusions to the reverse. 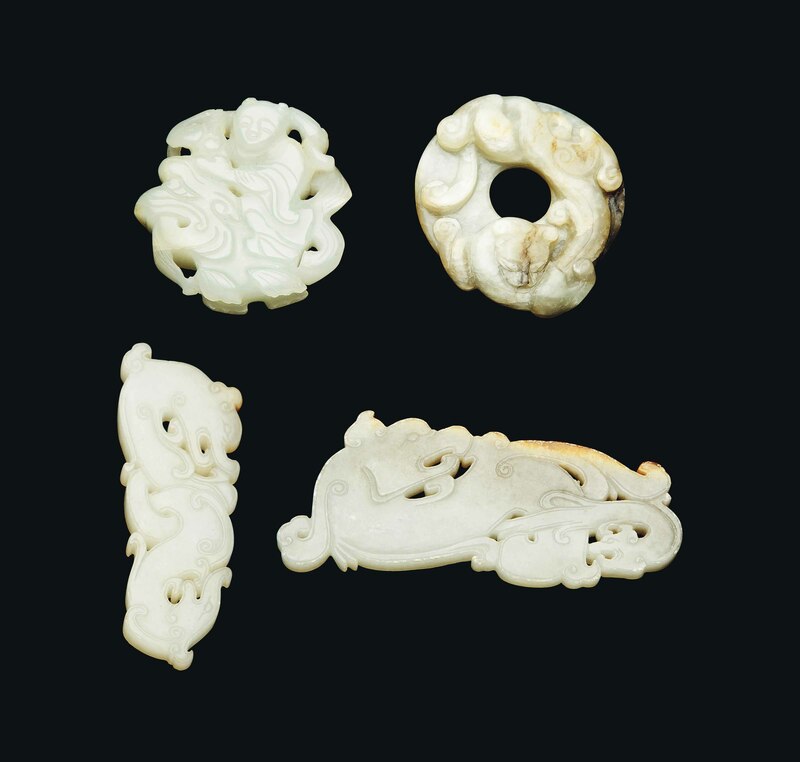 The second is a pale celadon carving of a stylised coiling dragon. The stone is of a pale celadon tone with a small russet inclusion. The third is a carving of a mythical beast. The stone is of a celadon and grey tone with russet inclusions to the lower rim. The bi disc is carved with a qilong climbing over it. The stone is of a greyish celadon tone with some russet and brown veins.